Good and comfortable visibility is essential for safety on waterways. With the aid of an Orlaco camera system, the operator can detect safety issues straight away so that he can act accordingly to prevent emergencies from happening. Orlaco cameras and monitors enable operators to carry out precision work, such as maneuvering and hoisting and dredging operations, more safely and more efficiently. 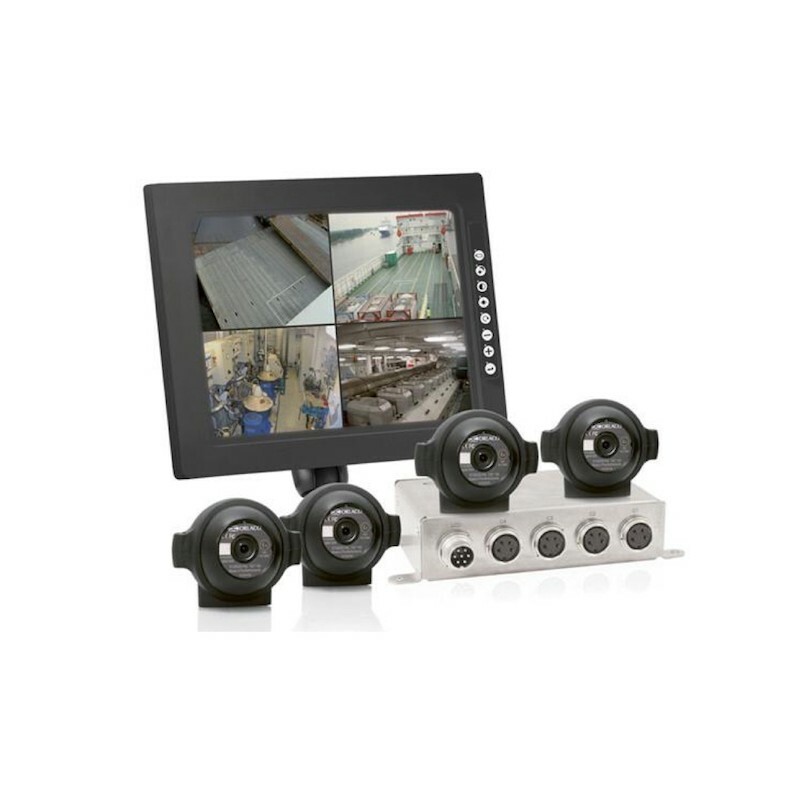 Camera monitoring systems can play an important role in maintaining safety conditions and efficiency onboard ships. Next to that, ship operators might nd that the extra visual coverage helps them keep a better eye on the ship, its crew and its surroundings. 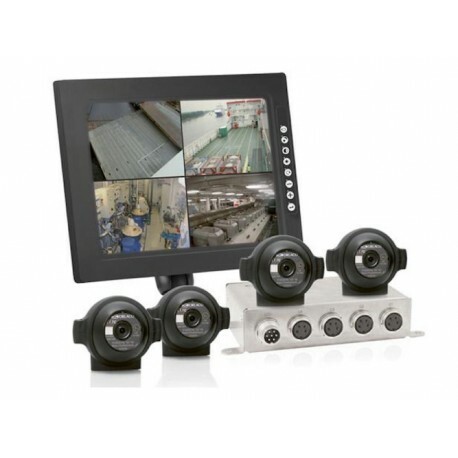 An orlaco camera monitoring system could help the CCTV operator detect possible safety issues in time and prevent any incidents. An improved view of the on-board working areas and the ship’s surroundings could help ship operators be more ef cient in their work. orlaco cameras can give a real-time overview of crew working areas, process monitoring and any other type of surveillance. on-board camera systems could add value to the security, safety and ef ciency of ship personnel and the equipment they use. Efforts can be made to prevent accidents, but they still happen. Operating in confined areas with a lot of blind spots can cause damage to equipment and possible injuries to people. An Orlaco camera monitor system could provide the operator with an ‘extra pair of eyes’. For instance, a good camera monitoring system is helpful when maneuvering, and during ship crane operations or dredging operations. This could help reduce unnecessary personal injuries and help to prevent List Time Incidents (LTI). Additionally, the use of cameras can contribute to the ergonomics and comfort of the operators. What’s more, video images can be distributed over a network to aid multiple employees with real-time reviewing of any given situation. Effective decisions could be made based upon the visual live feedback from any remote location. For surveillance of the areas onboard and around the yacht a PTZ Dome camera is the right solution. With the possibility to maneuver the camera in a left/right and up/ down position the whole area can be scanned. With the integrated zoom camera objects can be viewed in full detail. The thermal camera is a night vision camera placed on a pan & tilt unit, used for security reasons and maneuvering on open water. Without the need of a light source this camera will generate a picture. When maneuvering at night time the TiC camera will enable the operator to spot any objects on or in the water. The winch camera provides the op- erator with a view of the winch and the Tow cable. The deck view camera provides the operator with a good view of people working on deck, machinery and stowed equipment. By placing a fixed Dome camera under an over- head the operator has a good view of the gangway access, pool area, passenger area and any other area that needs observation. The forward view camera takes away the blind spot and provides the operator with a better view of what is in front of the bow. With an unmanned engine room the operator has no visual of this area. With the help of a camera, with or without lED lights, the operator can detect oil spills or smoke forming, before any of the detection systems gives a warning. With the aft view camera the opera- tor has a good view of the area behind the ship. This camera is mostly used for docking purposes to support the operator to maneuver the ship in the right position. This camera also provides a good view of persons and vehicles embarking and disembarking the ferry. A PTZ camera is used for a view of the Draghead po- sition either on sB or Ps of the vessel. With the pos- sibility to maneuver the camera in a left/right and up/ down position the whole area can be scanned. With the integrated zoom camera the operation can be viewed in full detail. The thermal image camera with pan and ttilt unit (PTTiC) is a night vision camera used for security reasons on open water. Without the need of a light source this camera will generate a picture and will warn the operator of any object that is approaching the vessel.